If you’ll be visiting Liverpool over the festive season, our winter edition of 48 hours in Liverpool is just what you need! Discover the best of what’s on in Liverpool this weekend and our recommended activities for the ultimate festive stay. Day 1 – Exploring, Entertainment & Festive Food! 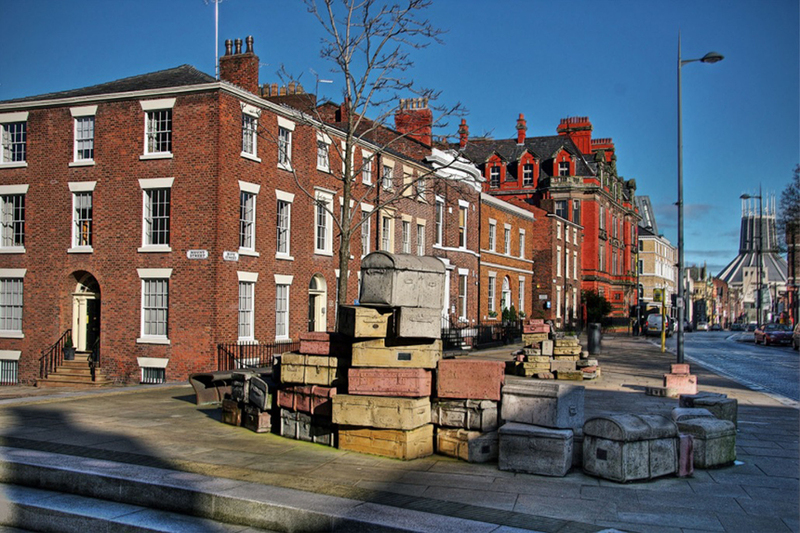 To start your day off right, enjoy a picturesque winter walk along Hope Street and the charming Georgian Quarter. Liverpool’s two cathedrals sit at alternate ends of the street. And as though that’s not enough, there’s plenty to see and do in between. Why not stop off for a photograph next to John King’s ‘A Case History’ or for a cosy coffee in one of Liverpool’s top independents? Undoubtedly one of the most scenic streets in Liverpool, a visit to enchanting Hope Street is a must to get a real feel for the city. Hilarious duo Adam Keast and Francis Tucker are back in town this Christmas. And they’re well prepared to cause fits of laughter once again! The Everyman’s Rock ‘n’ Roll panto is best loved for its infectious singing and dancing, unrivalled atmosphere and hugely talented cast. 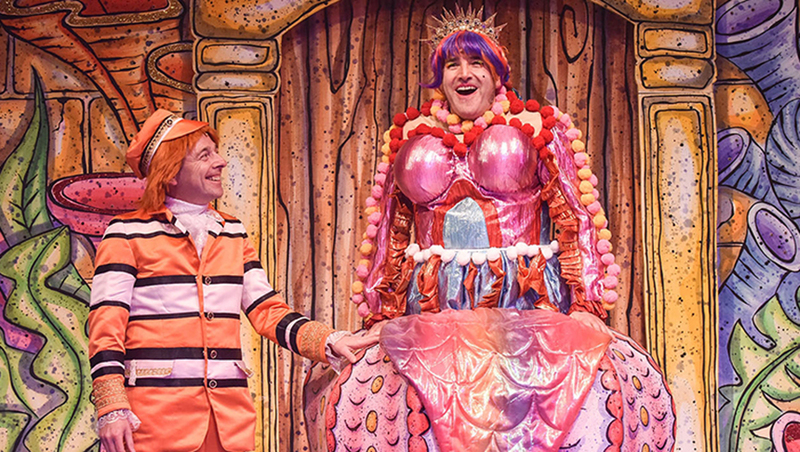 A fusion of the very best of theatre and pantomime, this year’s production will put a special spin on The Little Mermaid. One of the city’s most treasured theatres, this Hope Street gem is the perfect stop for next on your list. After burning off those calories through walking and laughter, you’ll have certainly earned a bite to eat! 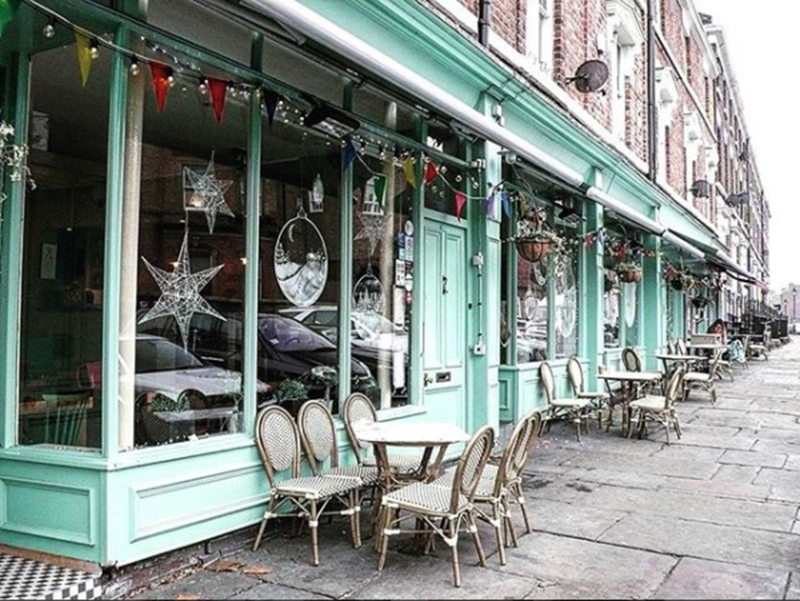 Head back along Hope Street and you’ll find The Quarter nestled away on leafy Falkner Street. This hidden gem is a local favourite and a spectacular spot for everything from light bites and sharing boards to stonebaked pizzas. You’ll also have the chance to choose from their impressive Christmas menu, including Pan Fried Fillet of Seabass and the Quarter Festive Pizza. Not forgetting, you’ll want to top it all off with a tasty dessert. Look no further than the Clementine Cheesecake or Ferrero Roche and Caramel Sundae. 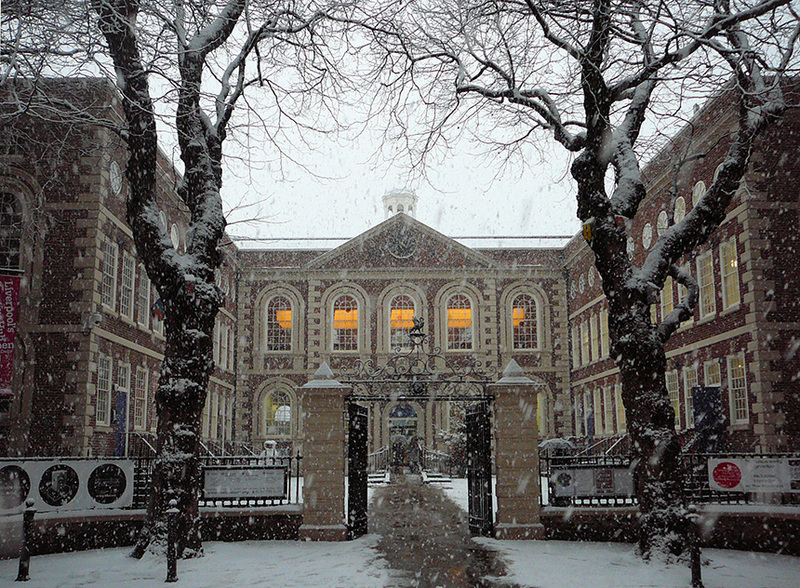 Heading back towards Liverpool ONE, it’s well worth paying a festive visit to The Bluecoat. At the heart of the city for 300 years, this beautiful building is a hub of creativity and community spirit. Browse dazzling displays of visual art, enjoy a special event or simply take a breather in the tranquil garden. 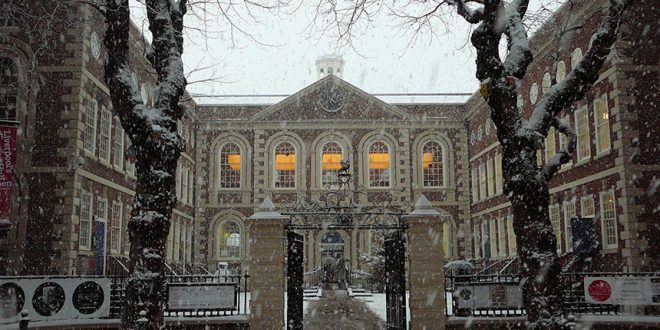 Perfect for discovering some unique Christmas gifts, the Bluecoat is also home to a range of artists and creative businesses. 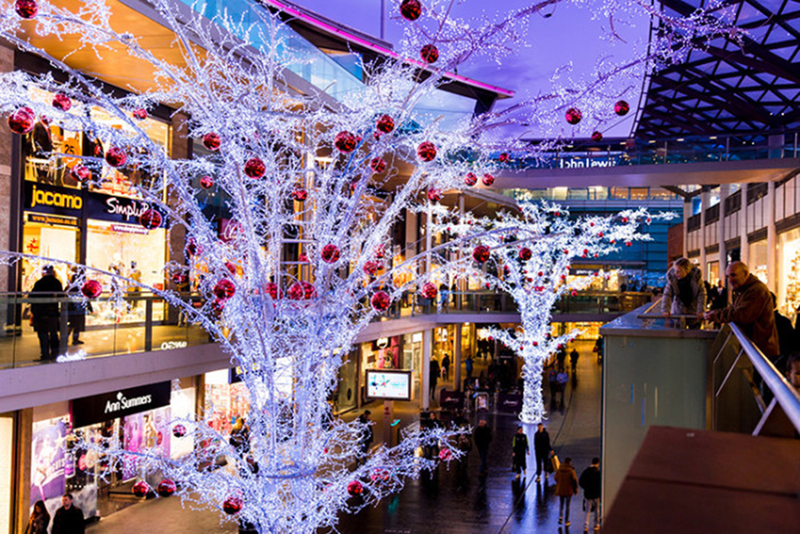 Discover the best of Christmas shopping in Liverpool with a visit to Liverpool ONE. Including high-street favourites and top designer brands, you’ll find yourself spoilt for choice. Pick up the perfect Christmas party outfit from leading clothing stores including Topshop, River Island, Ted Baker and Michael Kors. You’ll also find the UK’s best department stores John Lewis and Debenhams decorated from top to toe with Christmas cheer. 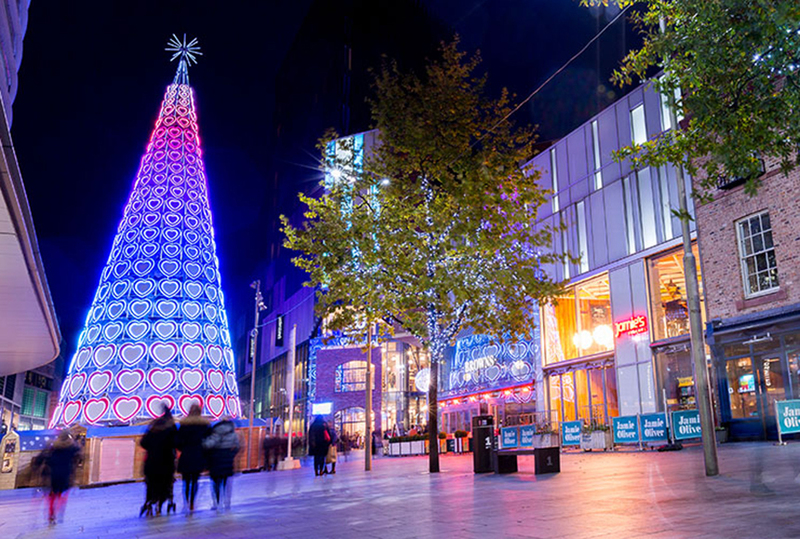 Christmas in Liverpool simply isn’t complete without a visit to the colourful Christmas tree. Illuminating Liverpool ONE with its vivid and vibrant heart-shaped lights, stop off at the tree for a festive family photo. After all that exploring, come in from the cold and warm up with a festive drink from Bar Hütte. 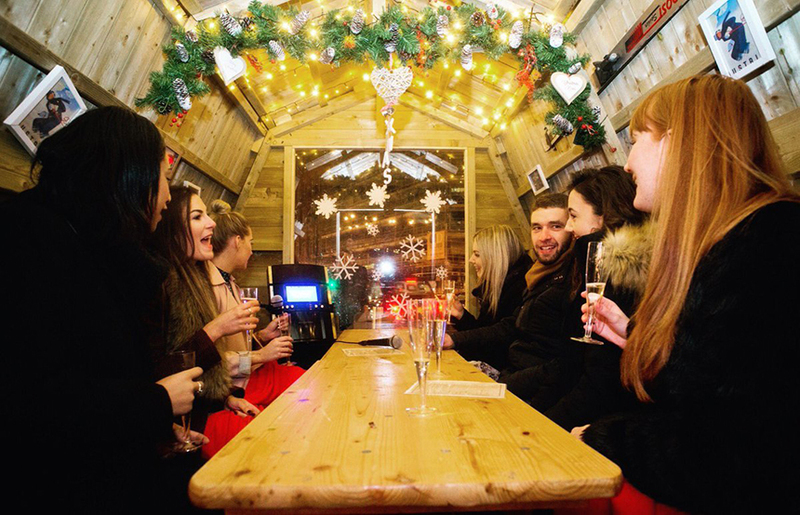 Surrounding the Liverpool ONE tree, you can cosy up in your own alpine themed hütte and prepare for a sing-song! Perfect for a fun day out with family and friends, take to the mic and belt out a Christmas classic in style. 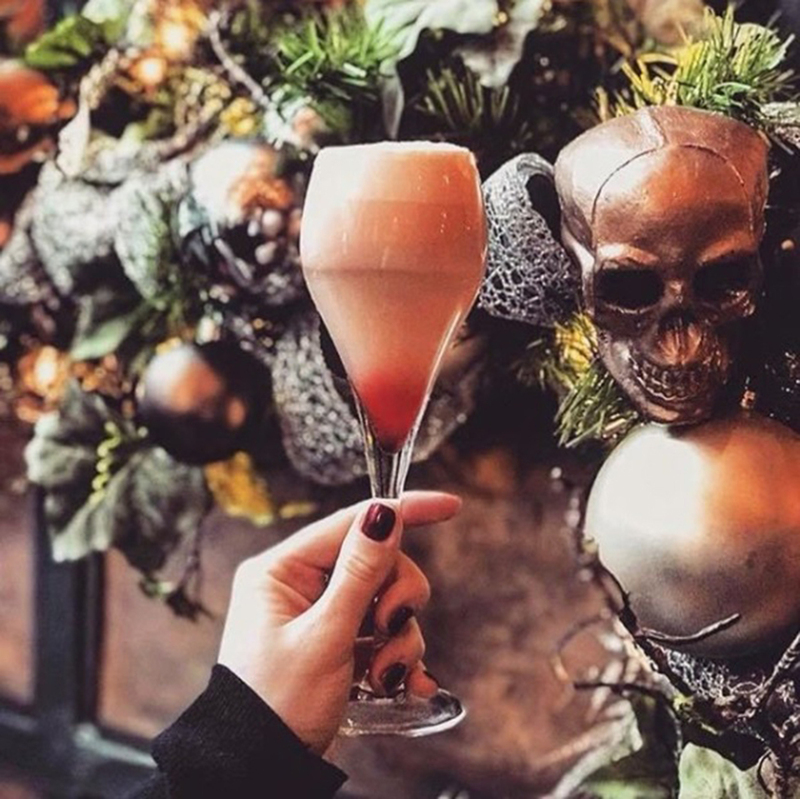 Give Mariah Carey a run for her money as you pick a festive favourite and sip on a delicious Christmas cocktail. Uniting Liverpool’s favourite independents, you can’t beat a night of tasty treats and winter warmers at Baltic Market. Treat yourself to a hot Gin and Tonic, a classic mulled wine and choose from an array of market stalls serving up scrumptious delights. Whether you fancy ending the day with sweet or savoury, the choice is yours. 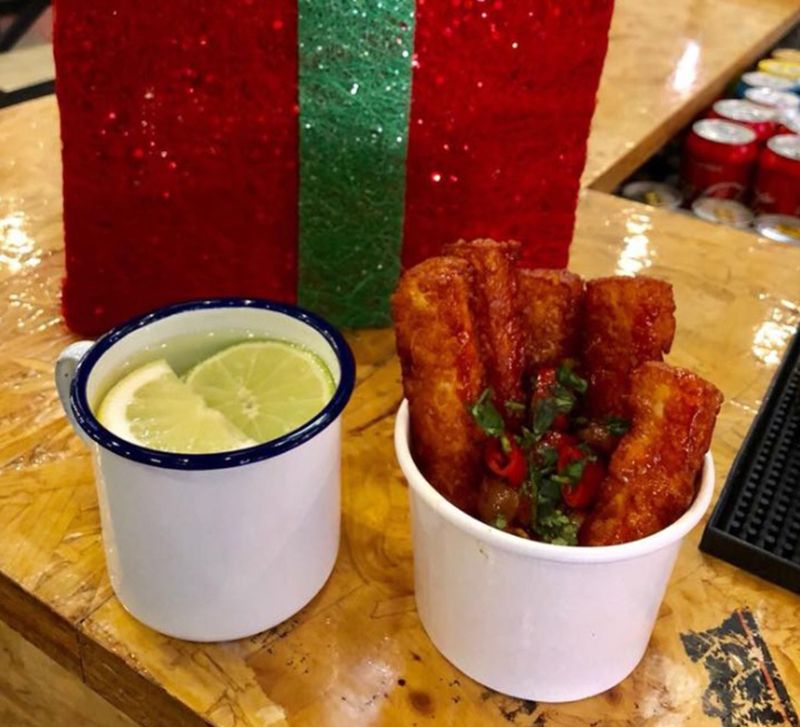 After becoming a hit with the locals, Baltic Market is now permanent home to Hafla Hafla’s deliciously deep fried halloumi fries! You’ll also find Midnight Delivery’s tempting treats, including their loaded bubble waffles and mouthwatering brownies. After a jam-packed day of festive fun, it’ll be time to unwind and escape the worst of the winter weather! 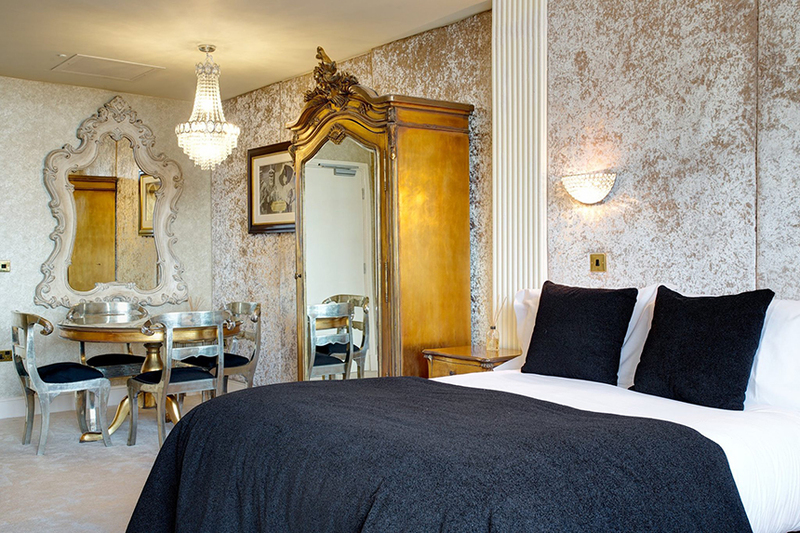 Head back to the most cosy and comfortable room with a stay at Liverpool’s luxury 30 James Street Hotel – Home of the Titanic. This dazzling hotel once stood as the headquarters of the White Star Line shipping company, owners of RMS Titanic. Filled with history, character and opulent features, you’ll soon feel right at home with a decadent overnight stay in the city. Overlooking the Liverpool waterfront and stunning Three Graces, this striking gem is within walking distance of the city’s top attractions and shopping areas. Day 2 – Family Activities, Afternoon Tea & Cocktails! Situated only a short walk from 30 James Street, why not head out for a hearty brunch at Moose Coffee? 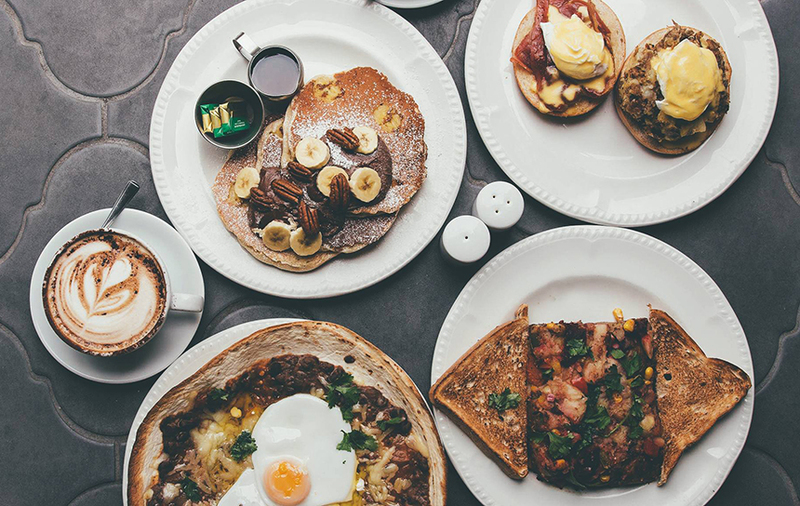 Bringing a taste of American breakfast culture to Liverpool city centre, you can count on Moose to serve up something special. Choose from a fantastically varied menu including their legendarily large pancakes, sweet or savoury waffles and flavoursome sandwiches. You’ll also want to try their famously light and foamy coffee or refreshing milkshakes, guaranteed to hit the spot and prepare you for the day. After a good night’s sleep, take a crisp and Christmassy walk down to the waterfront to Liverpool Christmas Ice Festival. 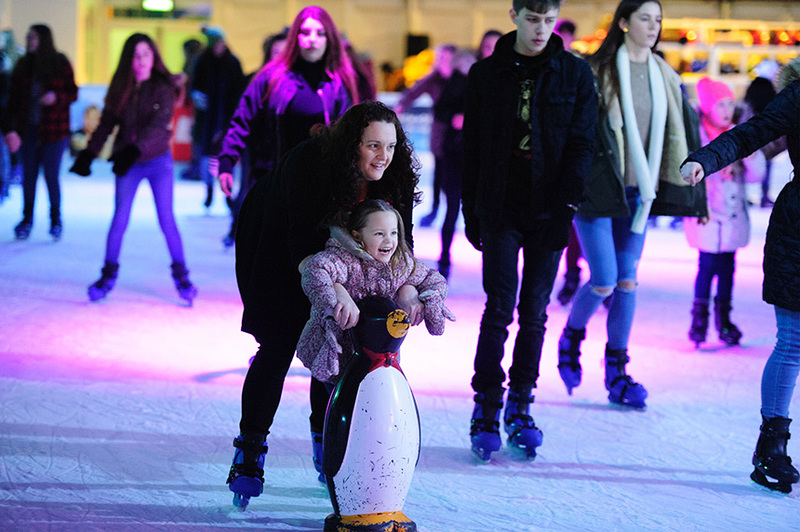 Perfect for kids both big and small, spend an afternoon of fun as you skate the day away, take a ride on the Ice Jet or brave the breathtaking Ski Jump! And for those in search of child-friendly entertainment, you can take in the sights from the Ferris Wheel, take a ride on Santa’s Dumbo Ride or breeze down the Helter Skelter. With a range of seasonal rides to pick from, the whole family can look forward to a day of thrills. 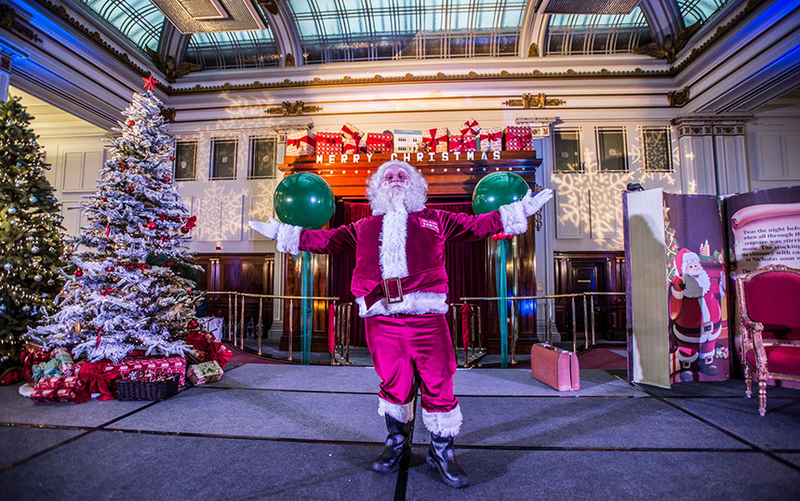 Santa’s Christmas Party opened its doors for the first time this November. And the fun will continue up until Christmas Eve! The ground floor of Liverpool’s iconic Cunard Building has been decorated from head to toe with a fantastically festive makeover. Taking Christmas grotto to a whole new level, Santa’s Christmas Party incorporates real reindeer, classic movies, stories and dancing. This year, prepare to be dazzled by an evening visit to the Albert Dock. Arguably the most famous area of Liverpool, this is a must for your list. 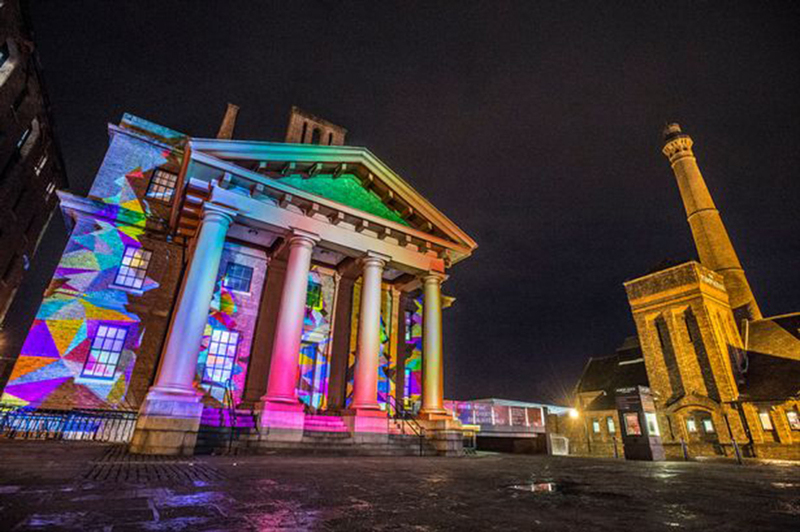 Between 5pm – 10pm the grand Dr Martin Luther King Jr building will become the canvas for a spectacular Christmas light projection. You won’t want to miss this captivating display of intricate designs and magical moments for all the family. The Albert Dock can be reached by taking a short and scenic stroll from the Pier Head. 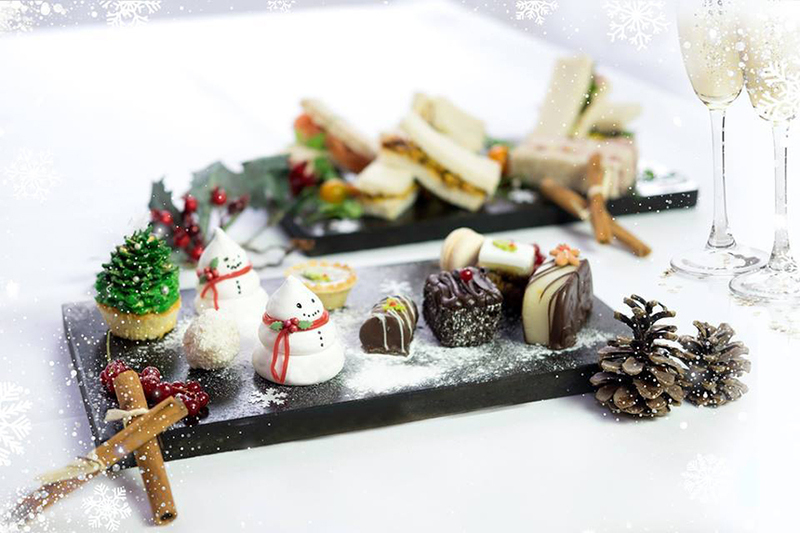 At 30 James Street Hotel, guests can embrace the best of the Christmas period with Festive Afternoon Tea. Tuck in to an array of sweet and savoury treats served in seasonal style. Carpathia Champagne Bar & Restaurant offers stunning views across the city centre, so it’s well worth paying a visit. The perfect treat after a busy day of exploring, wash it all down with a glass of fizz and toast to the night ahead! When you’re feeling refreshed and ready to head out, take a stroll up to Castle Street and take in the striking architecture. Find yourself dazzled once again by the twinkling star lanterns adorning the street and casting atmospheric shadows. Created by Kazimier Productions, this unique display is a visual treat that shouldn’t be missed! 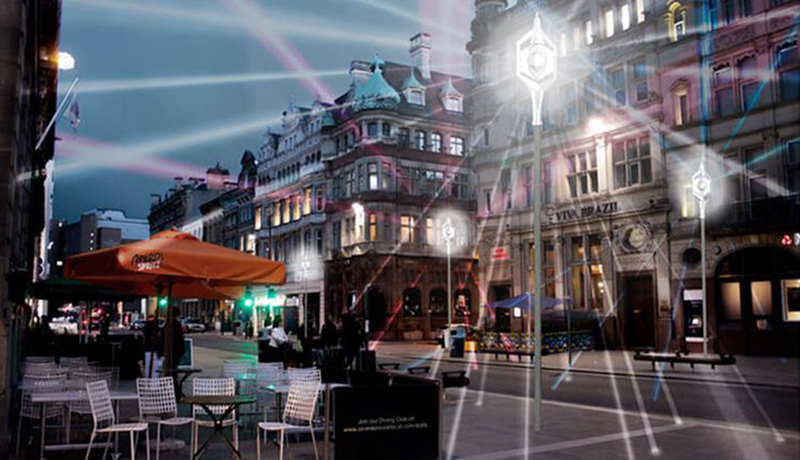 While you’re taking a wander along Castle Street, Liverpool Town Hall will be hard to miss! Make sure you head to the end of the street to catch a glimpse of this exquisite building at Christmas. 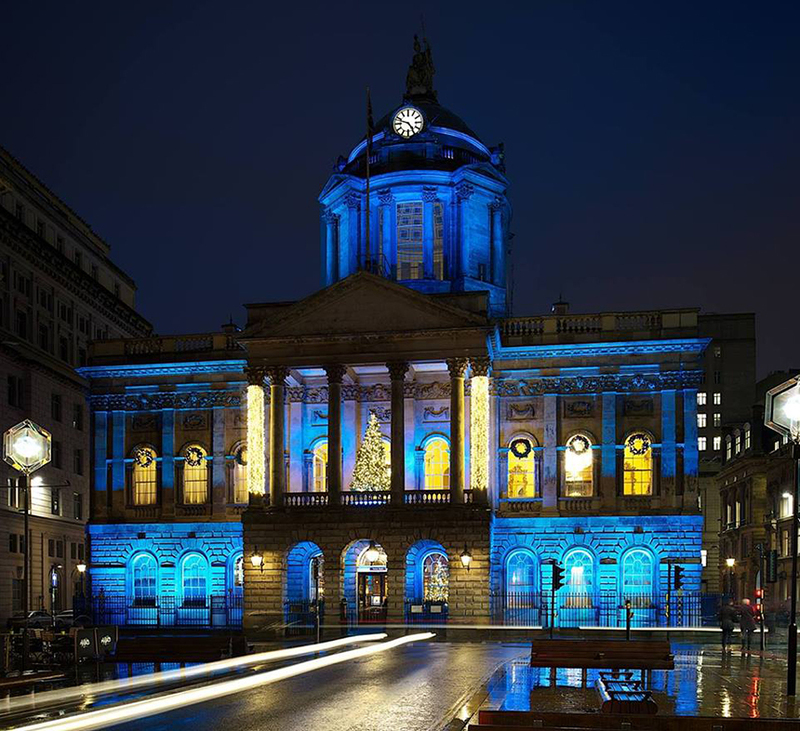 See the glistening Christmas tree proudly overlook one of Liverpool’s most historic and picturesque streets. Tucked away just off Castle Street, a winter cocktail awaits you at The Alchemist! The Xmas Trifle is a festive fusion of Aperol, Appleton Estate and White Chocolate Cream topped with fizz. Their impressive winter cocktail menu also features the Winter Old Fashioned, Mulled Negroni, Pud and Snow Joke. What better way to celebrate a spectacular visit to Liverpool? Last but not least, why not finish your 48 hours in Liverpool at the Liverpool Christmas Market? Situated up in St George’s Plateau, this is the perfect chance to fit in a little more architecture and food glorious food! 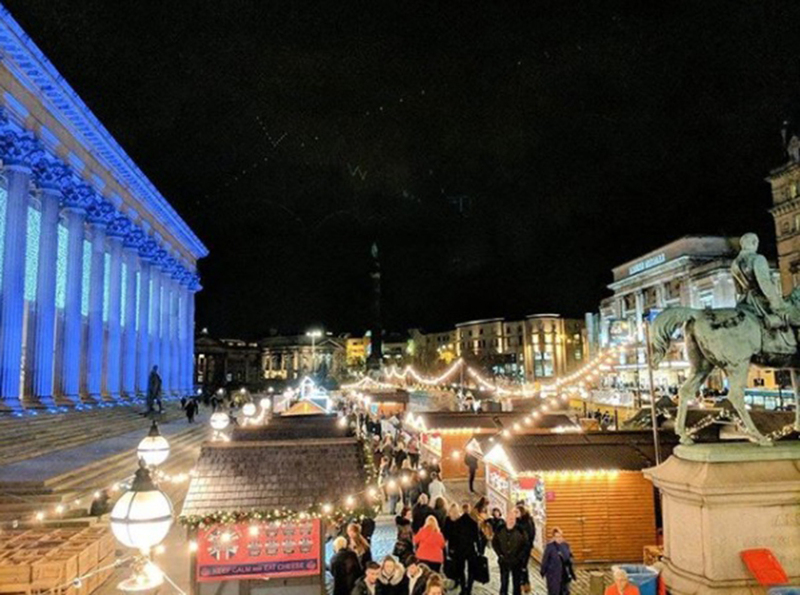 Explore the best of Liverpool Christmas Market stalls as you indulge in everything from classic crepes to a hearty Yorkshire Pudding Wrap. Featuring a range of gift stalls, you’ll also find last minute stocking fillers or a unique gift for someone special. Our wonderful city is bursting with fun all year round. But we’re sure our guide to the top Christmas attractions in Liverpool has given you plenty of ideas. We hope you’ve enjoyed our guide to 48 Hours in Liverpool…the festive edition! If you’ll be planning a visit to the city during the warmer months, don’t miss our guide to 48 Summery Hours in Liverpool.